At Stonearth, we like to keep things natural. That's why we only ever use 100% natural stone, wood and marble to make our beautiful bathroom furniture. In fact, we travel the globe to carefully source our materials. 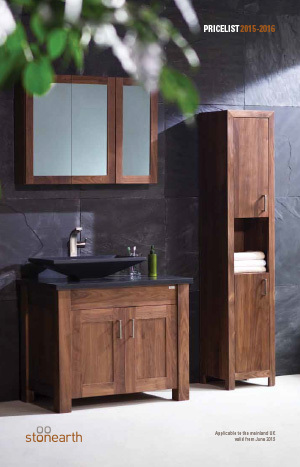 Working with raw materials like American oak, Italian travertine and Egyptian marble means we can design you high-end furniture that gives your bathroom that special wow-factor. What's more, we can help you create your dream bathroom exactly the way you want it - right down to the finishing touches. Our unique natural collection comes in all shapes and sizes, whether you're looking for an oak vanity, walnut washstand, or a stone basin. 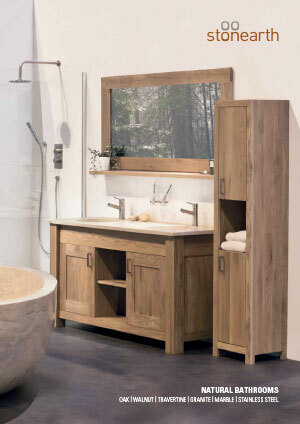 And whether we're making you a travertine bowl or a full set of oak bathroom furniture, it's always first-class quality. We work with our own expert craftsmen who, like us, understand the unique qualities of natural materials. And because everything we make is handmade by specialist carpenters and stonemasons, you get a beautiful product that's really good value for money. 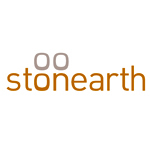 We have access to the worlds top 147 brands including Stonearth. If you are interested in having Stonearth Bathroom products in your home or would like these fantastic designer bathroom products specifying in your contracts then please contact our sales experts and design consultants on 0333 772 2055 or email sales@designerbathroomconcepts.com or utilise our instant live chat feature.